Would you like to advance your yoga skills? Want an effective way to boost them from the inside out? Yoga is a system of exercises designed to help you get more in touch with yourself and your body. It's been shown to positively impact your physical and mental health, and is a practical method to meditate and stay in shape at the same time. With the Improve Your Yoga subliminal session, you'll tap into your natural capacity for yogic meditation! 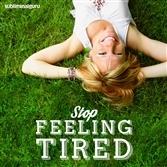 As you listen, thousands of powerful positive affirmations will infuse your mind, helping you relax and get centered. 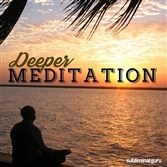 Download the Improve Your Yoga subliminal audio now to experience profound mental, physical, and spiritual awareness. I easily achieve the yoga positions. My body is flexible and fit. My muscles respond to my commands. I practice my yoga every day. Yoga helps me breathe deeply and fully. I remember the yoga positions precisely. Yoga relaxes my body and mind. I find it easy to focus during yoga. I enjoy my yoga sessions immensely. Every day my yoga technique improves. I am naturally good at yoga.